Big data analytics can be a highly technical subject, but as consumers we come face to face with it every day. 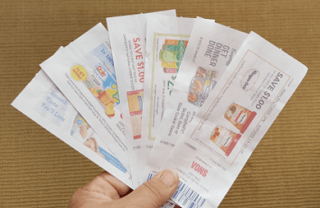 The personalized coupons we receive at checkout are generated by the grocer’s analysis of our purchase history. Likewise, the targeted ads we see on the web are based on ad brokers’ use of big data generated by our browsing history. Large health insurers use big data to target us with advice on managing our health and lowering costs of medication. And major political campaigns are getting good at using big data to target us based on our demographics. Based on our experience as consumers, it is evident that these “big guys” know how to use “big data.” But what about small to midsize companies? Like large companies, they also need to better understand the market, target their best prospects, and better serve their customers. However, in the past, they have not had the computing resources to gather and store petabytes of data, nor the internal skills to analyze all that data. The problem facing small and midsize organizations is often more fundamental. In our consulting work at Strativa, we talk with business leaders all the time who struggle to get useful information out of their enterprise systems to make basic business decisions. Many times the information is only available after month-end close and consists mostly of financial data. Or, the data is not timely or not relevant to the questions that business leaders are asking. It’s not just big data they are lacking; it’s small data as well. Decision makers in companies of all sizes need the right data in a timely fashion to help them manage day-to-day changes and to respond to opportunities and challenges. They expect to be able to measure everything, to have greater insights into their business operations in order to be responsive and flexible within the marketplace. Big data sources in the cloud. These are free or low-cost subscriptions that can give “do-it-yourself” companies a way to use big data without creating a large analytics infrastructure. Sources include public domain sites, such as the Bureau of Labor Statistics’ Current Employment Statistics (CES), public agencies, and universities. Companies large and small should be investigating these resources and others like them. Web analytics providers can make analytical data available for an organization’s own website. In the case of Google, the data is free. Any company with a website, small or large, should be making use of sources like these and tying them back to its marketing efforts. Big Data as a Service (BDaaS). BDaaS has been growing rapidly during the past few years, with lots of new startups trying to join the game. As Bernard Marr points out, BDaaS providers are well-suited for smaller companies. “They have everything set up and ready to go – and you simply rent the use of their cloud-based storage and analytics engines and pay either for the time you use them or the amount of data crunched,” he writes. “BDaaS providers often take on the cost of compliance and data protection. When the data is stored on their servers, they are (generally) responsible for it.” He lists several examples of BDaas providers, including IBM’s Analytics for Twitter service and Amazon’s AWS, as well as Google’s AdSense and AdWords, as well as non-tech companies. For example, agricultural manufacturer John Deere fits all of its tractors with sensors that stream data about the machinery as well as soil and crop conditions to the MyJohnDeere.com and Farmsight services. All this growth and activity allows companies of all sizes to gain the benefits of big data without setting up the infrastructure or hiring analysts themselves. ADP is one vendor that is enriching its software offerings with big data and analytics. In terms of big data sources in the cloud, 2016 marks the 10th anniversary of the launch of ADP’s National Employment Report (NER). This report has become a key indicator of private sector labor market activity and as a reliable predictor of the government’s job report. Using actual, anonymous payroll information of 30 million Americans, ADP is able to draw conclusions about the workforce based on real numbers. The report is available in printed form and also as an electronic download in Excel format. ADP’s continued investment into their Research Institute shows that it is serious about how big data can aid their customers in doing better business. ADP uses its leading payroll status and HCM knowledge base of best practices and industry expertise to create relevant studies on current issues such as the Affordable Healthcare Act’s impact on benefits planning. They are active in creating regular real data HCM metrics, benchmarks and indexes, such as the Workforce Vitality Index. This quarterly index measures the U.S. workforce dynamics by looking at key labor market indicators, such as employment growth, job turnover, wage growth, and hours worked. Finally, ADP is embedding reporting, analytics, benchmarking, data exchange, and predictive analytics in its core HCM offerings, such as ADP Workforce Now and Vantage HCM. ADP continues to go even bigger on big data as they are intent on embedding more and more of this big data into their suite of HCM solutions to provide practical business insights where leaders are able to be proactive. The idea that software vendors are investing in bringing analytics and big data capabilities to the market shows that analytics are no longer a nice to have, but have become a must for businesses of all sizes. Big data and analytics are not just important in HCM, CRM, and financials systems. All business functions, and all business sectors need these capabilities. For example, Louis Columbus writes that manufacturers of all sizes are seeing big data analytics as a game changer. He reports Honeywell’s findings that 68% of manufacturers are currently investing in data analytics and that 32% see the potential for big data analytics and Industrial Internet of Things (IIoT) to improve supply chain performance and increase revenue. What does this mean for the future of those companies who are utilizing systems that have these embedded big data analytics capabilities? It means our enterprise systems will be getting smarter and providing interactive predictive business analytics in the hands of millions of day-to-day business leaders who have to make smart decisions and take quick actions to stay competitive in the marketplace. The future is right around the corner. During ADP’s recent Analysts Day in Pasadena, Calif., ADP demonstrated how our phones and car media centers will be able to interact with our business calendars, to-do lists, and enterprise systems to serve us in real time. For example, based upon the GPS driving route time estimate it can send email notices to the 9 a.m. meeting group that you will be running 15 minutes late. Or, as a manager, you can get prompted by the talent management system that a certain employee is at risk for attrition, since the system knows by your calendar that you are having a meeting at that employee’s department later that day. This offers you the opportunity to be proactive in retaining that employee. These examples point to a developing trend: big data meeting artificial intelligence. The good news is that analytics and big data technology is now affordable and easily implemented by companies of all sizes. This means that smaller companies can compete in this changing game. Author: Dee Long, Strativa. Photo credit: author. This entry was posted in HCM Software Selection, IT Strategy and tagged ADP, BI, Big Data, HCM, HR, Infor, Microsoft, Workday. Bookmark the permalink.